Judging from my blog stats, if I don’t have photos up, people don’t read my blog. Is my writing that bad? Anyway, I’m taking Dr Budd’s advice to us to not panic and take time to relax, even though the bibliography exercise has a really short deadline. Also, I’m really tired of thinking, thinking, thinking and searching endlessly for scholarly books and articles that have to do with Asian American pop culture and Southeast Asian cinema. I finally got some backlogged snapshots out of my phone and my camera. It’s semicircular in shape, with I think two levels of seats above the ground floor? It was built in the late 19th century, which accounts for the “whoa” sensation I got when I went in. (I haven’t exactly spent a lot of time in grand old buildings…) Here, have a link about it. 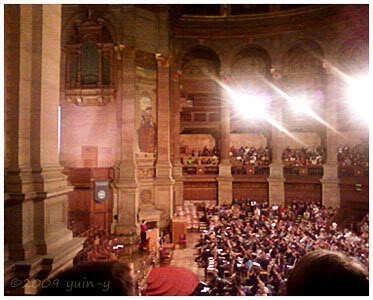 I’d gone for the talk with one of my Chinese flatmates and two of her friends, and they all insisted that the induction talk was held in New College, not McEwan Hall. 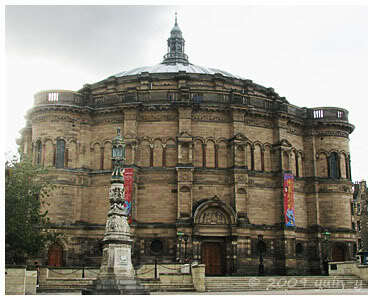 We walked halfway there, then ran into two other Chinese students who then told us that it was at McEwan Hall. By the time we got there, we were late and had to sit at this rather inconvenient spot where we couldn’t see any of the slides being projected. Sigh. This is the exterior of McEwan Hall – picture taken just a few days ago after class when I had my camera with me and some time before the bus arrived. 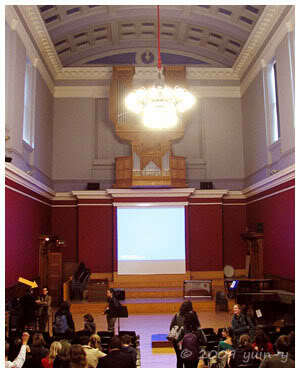 Our Research Methods lectures were held in the Reid Concert Hall. I took this pic with my phone before the second lecture. The class before us had evidently ended not long before and was evidently also a music class of some sort. Some of the students who were walking out as we went in were carrying various cases of musical instruments, and the grand piano was still out in the middle of the floor and such. That pipe organ up there is important for some reason or other – built by a famous person, maybe? I don’t know, but it’s significant anyway. hahah! Oh, and see that little yellow-orange arrow down on the left in the photo? That’s my Research Methods lecturer it’s pointing to. XD He’s so much fun! I was talking to two of my classmates after that last lecture and we all wished that he was teaching us something else as well as Research Methods. He has this engaging way of talking that makes you interested in what he’s talking about. I mean, he teaches Research Methods. It’s not exactly an enthralling subject on its own. 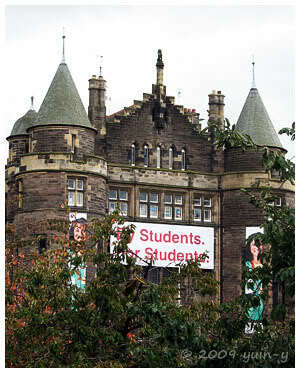 And he has to be very general because it’s a class for the entire Languages, Literature and Cultures school (LLC), which includes not only English lit, but also Chinese studies, History of the Book, Medieval Studies and Film Studies, to name a few. 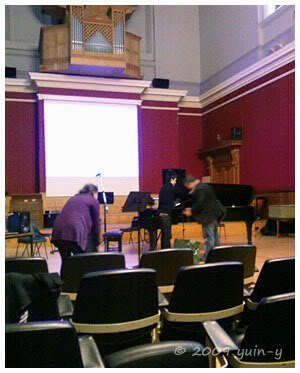 And yet his lectures are fun (even if there was a bit of information overload, since we didn’t have much time). He can even make the Oxford English Dictionary sound interesting. It’s a dictionary! Who finds dictionaries interesting? 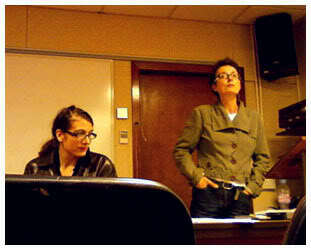 We did (at least for a while) after the lecture ended. He finished the lecture a little early so that he could address any questions about our bibliographical assignments, and after a while of being bombarded by queries about it, he said, “I get the feeling you don’t want this class to end.” Everyone laughed, but as one of my friends pointed out later: it’s true. We really didn’t want it to end because he’s so fun – in addition to being helpful and hardworking and all that.